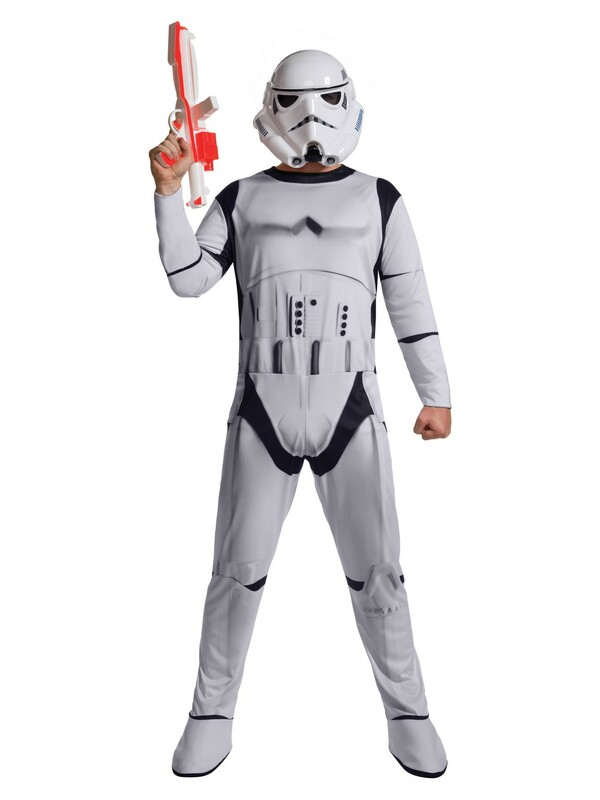 Step into one of the most iconic outfits in movie history when you put on this Stormtrooper Costume for Adults! Including white uniform jumpsuit and helmet mask, you have a complete and attention-getting costume that is perfect for Halloween, costume contests or any costumed occasion year round! Add a Blaster gun so that your Stormtrooper is ready for battle! Don't wait until the last minute! Have it when you need it when you order yours online today!